Polish National Alliance - 2015 Electoral Convention in Cleveland, Ohio. The Polish National Alliance (PNA) Convention took place between 23 and 26 August in Cleveland, Ohio. The PNA, one of the oldest and largest ethnic fraternal insurance benefit societies in the U.S., with 160 thousands members in 37 states, elects its president and executive board at this convention. The PNA was formed in 1880 in Philadelphia, by a small group of Polish intelligentsia, who understood the need for an organization that would unite Polish people across the U.S., and who believed in the same ideals as Agaton Giller – the freedom fighter, activist, journalist, and a member of the Polish National Government (a conspiracy government operating during January 1863 Uprising in Warsaw), who subsequently was banished from Poland and settled down in Switzerland. Living in Rappersville, Giller corresponded with the PNA members, advising them, praising their actions and supporting the organization efforts. From his Swiss home, Giller closely followed events in America, and it was his initiative that gave rise to the American Polonia. ”The enormous power the immigrants have cannot be denied, and their patriotic mission is to manage that power in order to benefit the home country as much as possible,” Giller wrote to the American Polonia. Agaton Giller had a good understanding of the importance of the Polish press. He considered the good Polish press in America as the most significant aspect of the public life. “No superior matters of social, political, national or religious nature can exist without journalism and literature,” wrote Giller. 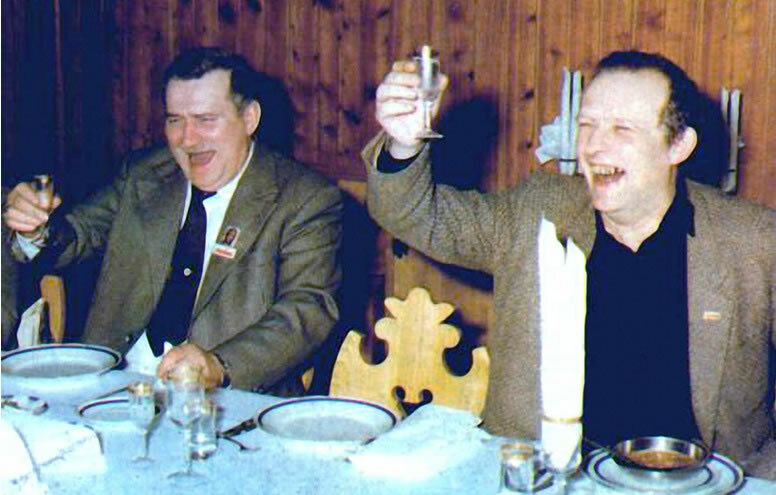 The idea of the PNA was born during a private conversation between Julian Lipiński and Juliusz Andrzejkowicz about the disintegration among Polish people. Andrzejkowicz was a tradesman, who lived in America for years. When they met again in a bigger group, a decision was made to set up an organization and to name it Polish National Alliance. The group, including Juliusz Andrzejkowicz, Jan Popieliński, Juliusz Szajnert, Julian Lipiński and 15 other participants, assembled again on February 15 (although some sources claim it was 14) 1880, and a majority signed the PNA membership declaration form. Juliusz Andrzejkowicz was elected a President, Juliusz Szajnert as secretary, and Julian Lipiński as treasurer. The members sent a letter to Agaton Giller to ask for his acceptance and more advice. Giller responded with a praising letter, expressing his highest regard and full support for the new organization. With Giller’s help, 18 similar associations made contact with each other, forming the PNA, with Julian Andrzejkowicz as the President. established its own higher education centre – the PNA College in Cambridge Springs. The PNA also founded the Polish Library in Chicago, and Immigrants House in New York, and in 1910 erected the monument of Tadeusz Kościuszko in Washington, DC. Between 1912 and 1914, PNA provided financial support to the Temporary Commission of Confederated Independence Parties. During World War I PNA cooperated with the National League and Polish National Committee in Paris, and during World War II supported the actions of the Polish government in exile. 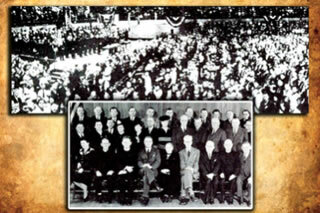 In 1944 PNA co-founded the Polish American Congress. In 1968, the organization made an appeal to the U.S. Congress to recognize Poland’s western borders and in 1971 called for the reopening of the investigation into the Katyn crime. The PNA remains the largest Polish fraternal organization in the U.S. Its assets are estimated at $0.5 billion, accrued from insurance plans and media service (the Polish Daily News and Radio WPNA 1490AM). The organization’s legislative body is the Convention named Sejm Związkowy that convenes every 4 years. The PNA is governed by the President and the Executive Board. The organization is monitored by the Censor, who reports to Sejm Związkowy. The PNA owns its own bi-weekly Zgoda distributed to all PNA members. Dr. Wojciech Wierzewski was the paper’s editor in chief between 1985 and 2008. The present editor of Zgoda is Alicja Kuklińska. PNA President Edward Moskal, who died in June 2005 in Philadelphia, was succeeded by Frank Spula who was reelected at the 2015 Election Convention in Cleveland.